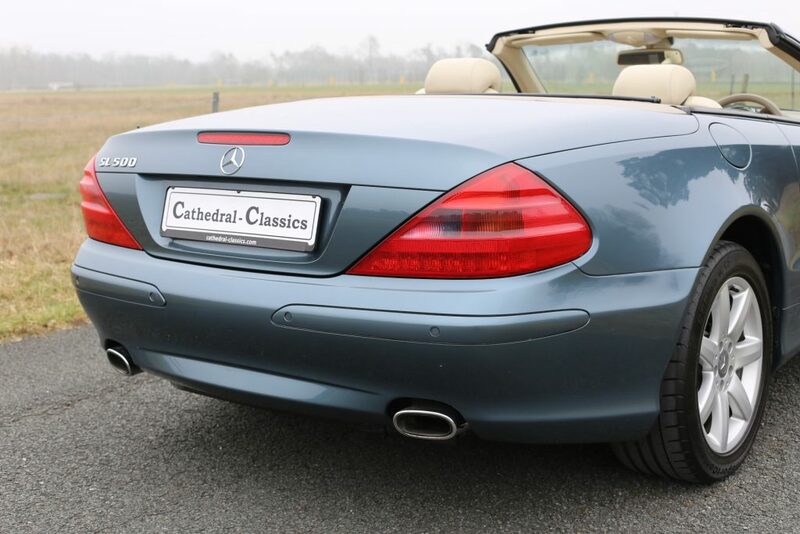 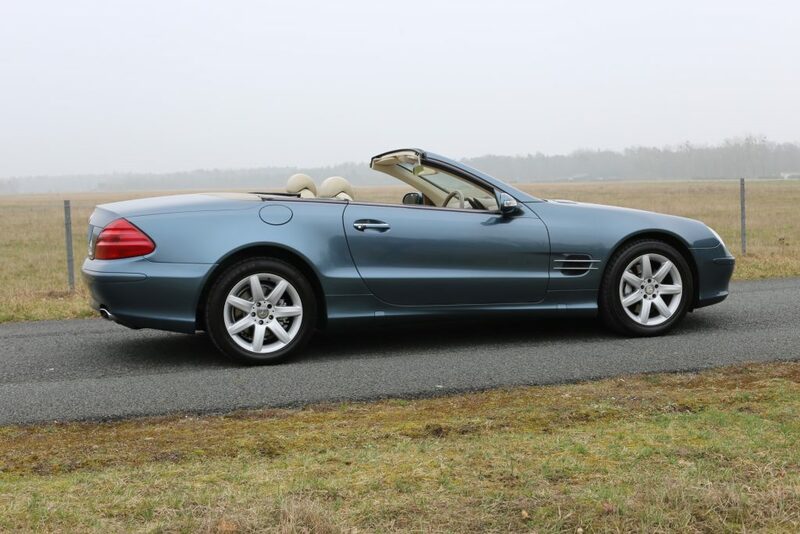 HISTORY FILE - With introduction of the R230 SL-Class (Sportlich Leicht) generation at the 2001 Frankfurt Motor Show, Mercedes had a ground-breaking machine that gained immediate attention from the motoring world. 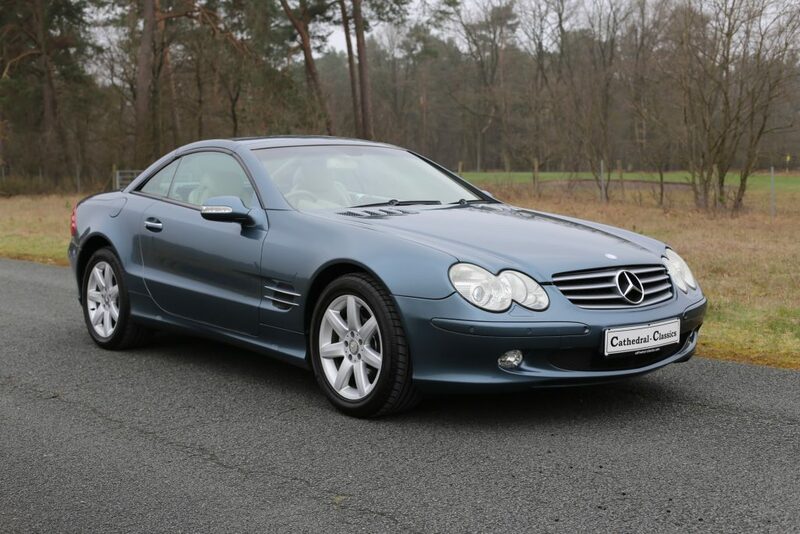 Registered new by Mercedes-Benz of Bury St. Edmunds on the 16th of May 2003, this example has covered 106,236 miles from new with only four keepers. 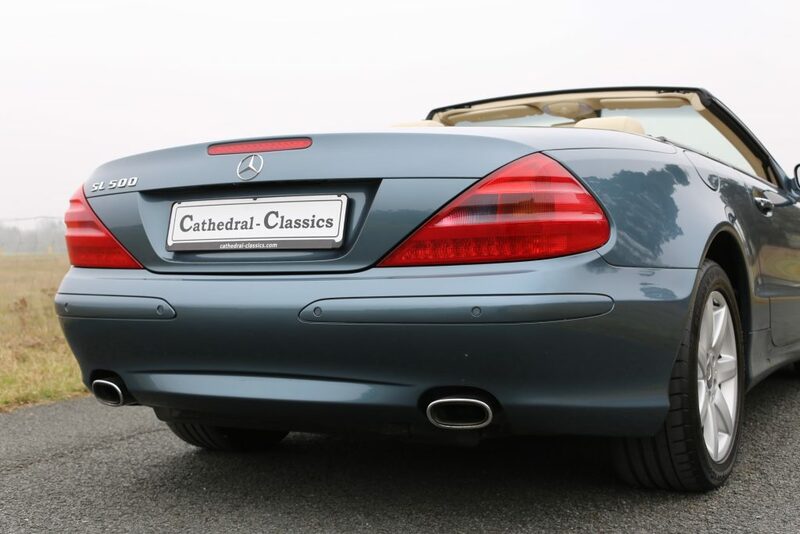 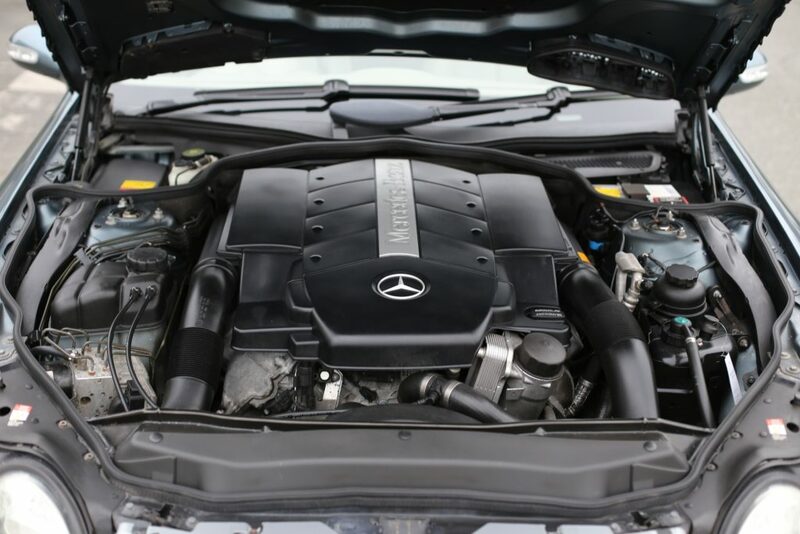 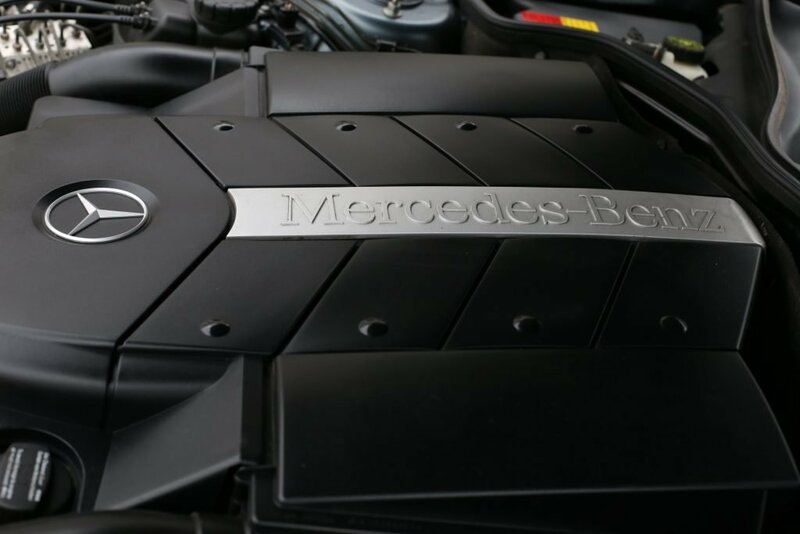 With full service history, there are eight stamped entries, all Mercedes main dealer and Mercedes Specialists in accordance with stipulated service guidelines, with the most recent B service carried out by German Mercedes-Benz specialist, Leopold in Bielefeld Germany. 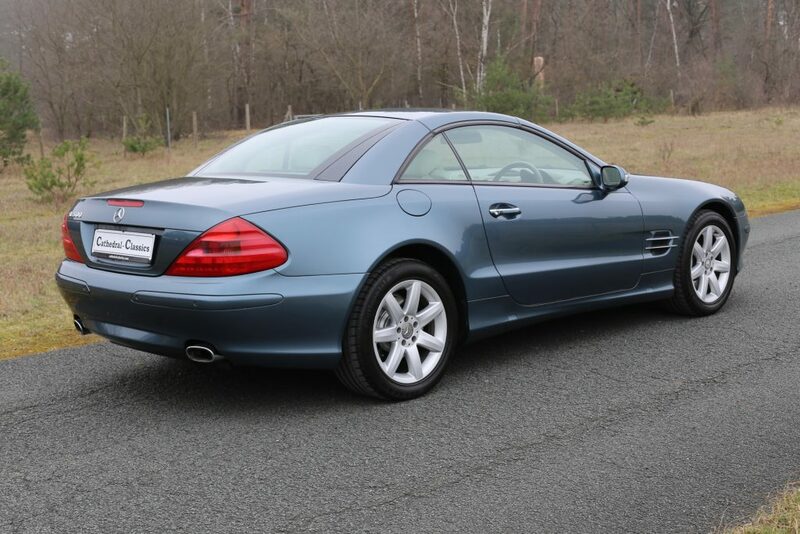 A further large history folder holds supporting Mercedes service invoices as well as two sets of original remote keys. 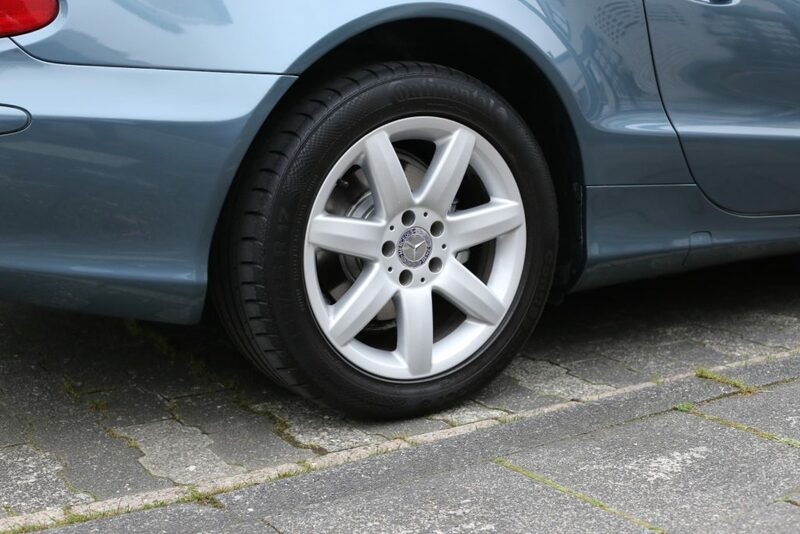 Completing the history file are all the UK MOT certificates carried out since the first in 2006. 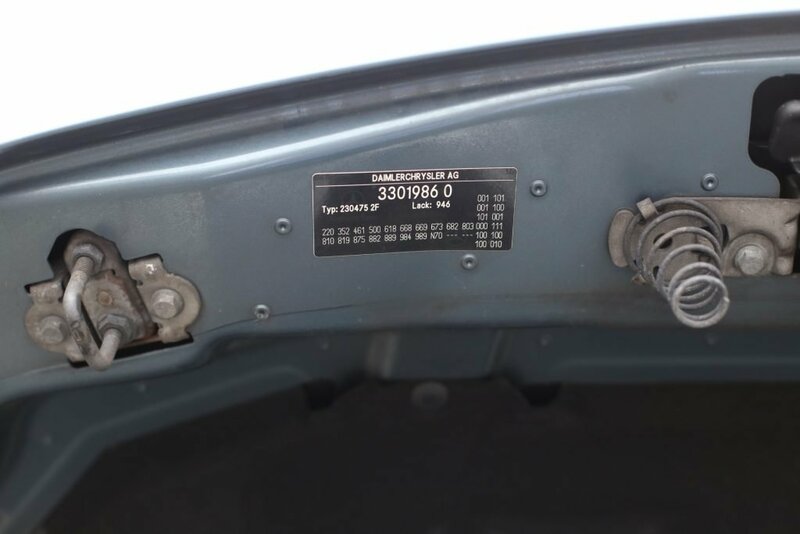 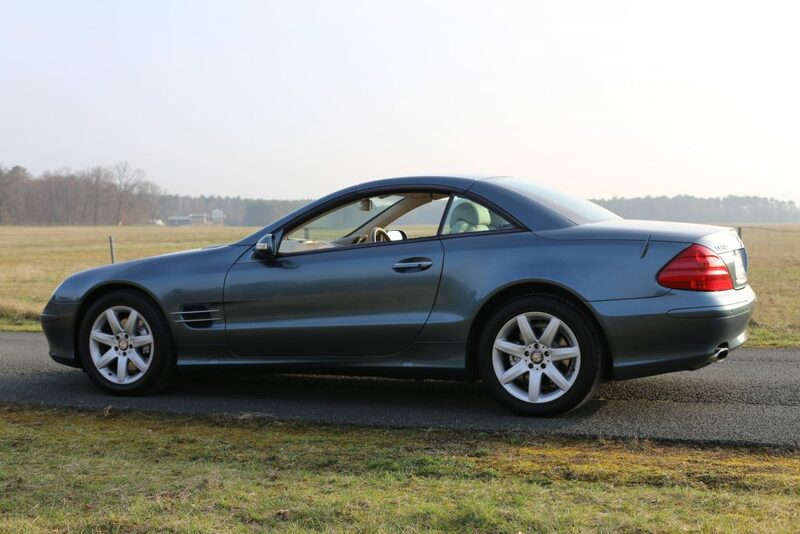 All in all, we have an extremely well presented and indeed maintained Mercedes 500 SL which is immediately evident on inspection. 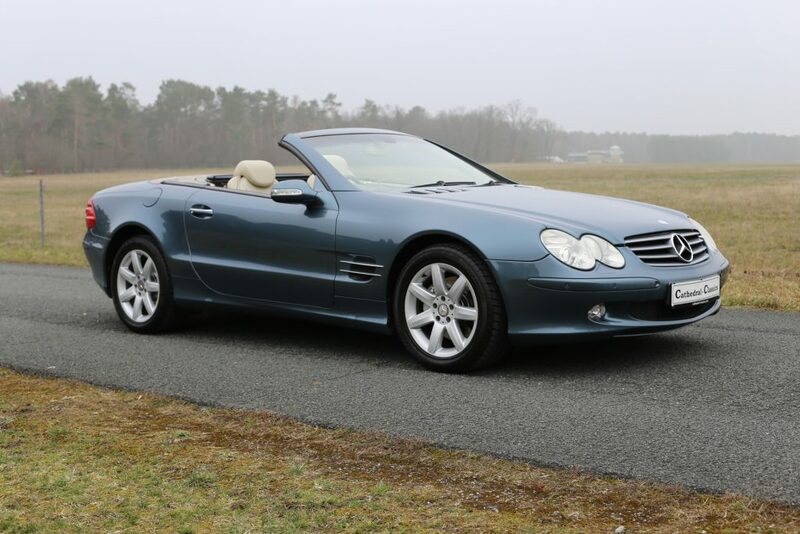 These models offer incredible value for money and are a fraction of their original new car value. 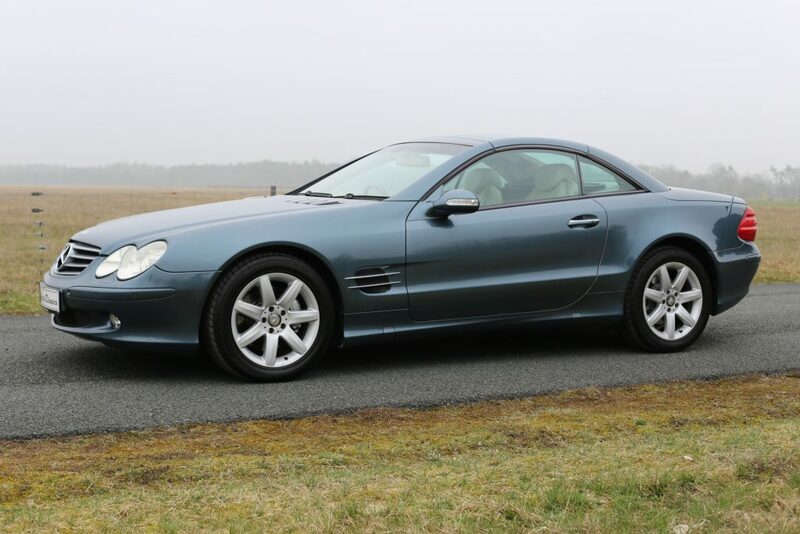 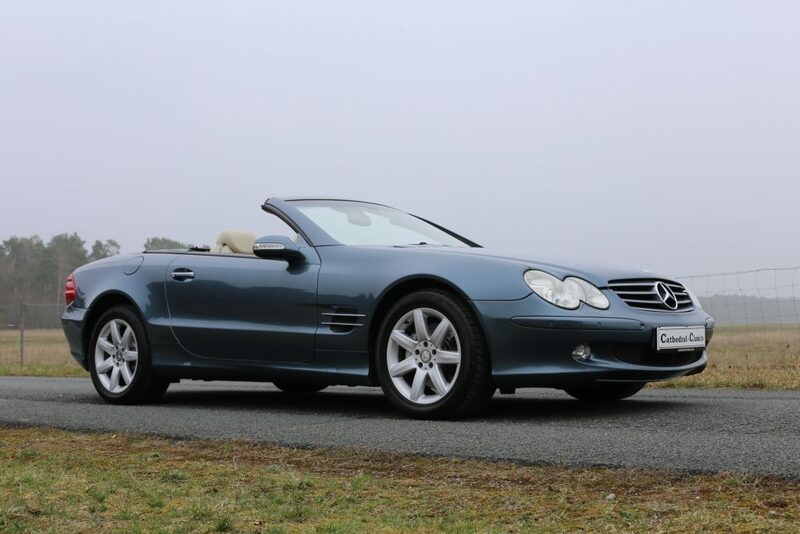 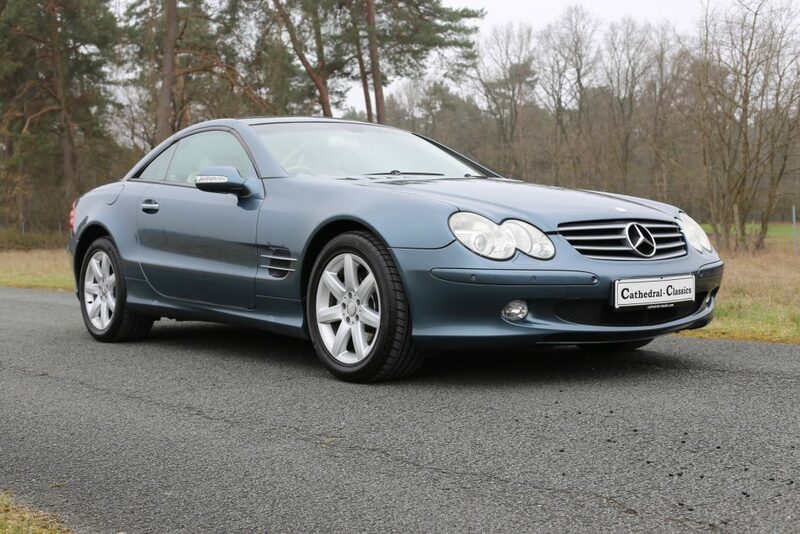 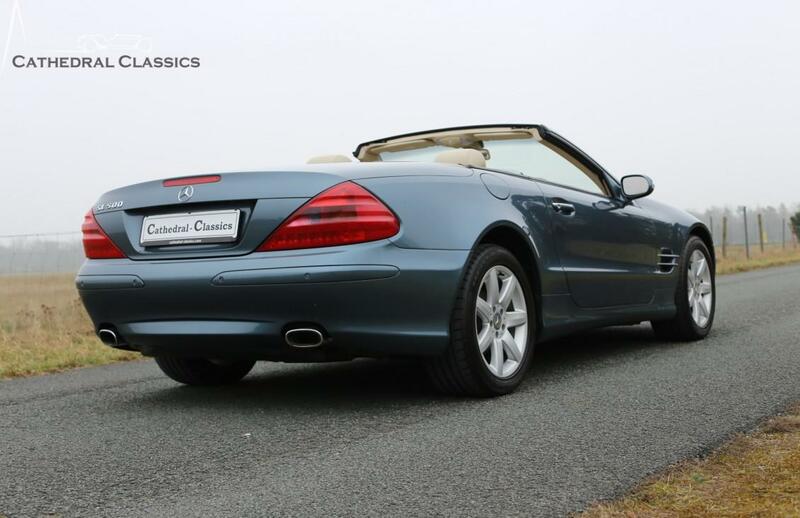 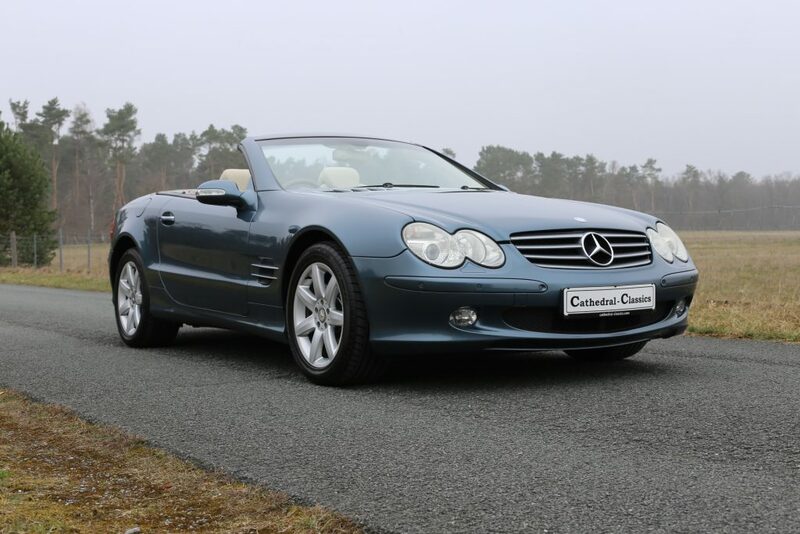 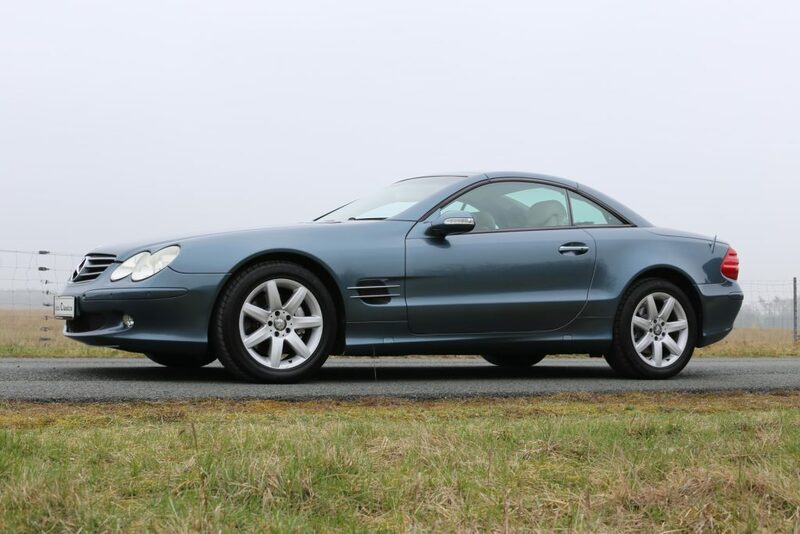 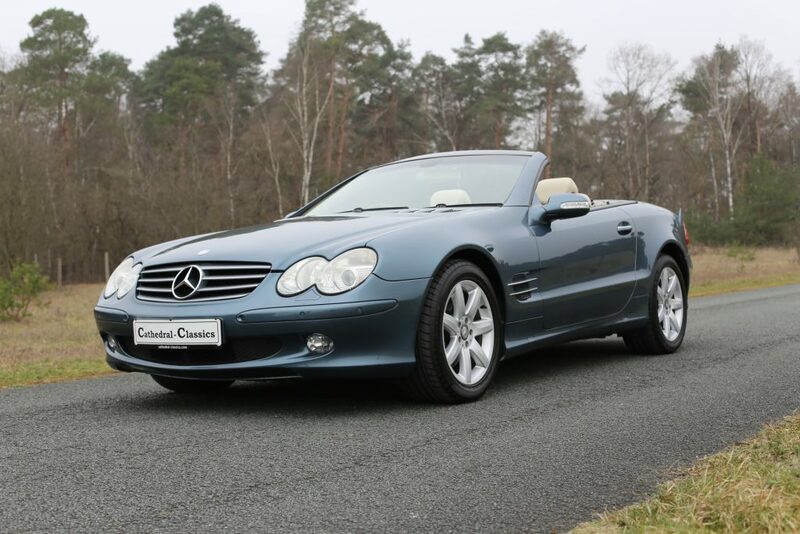 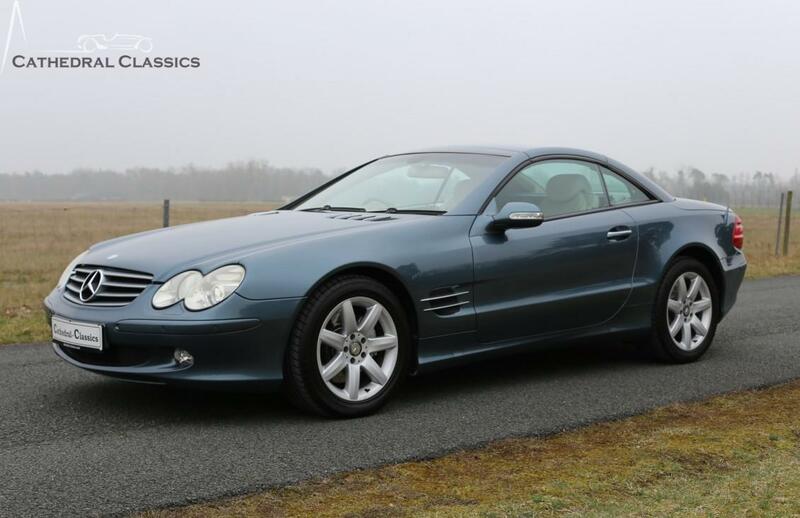 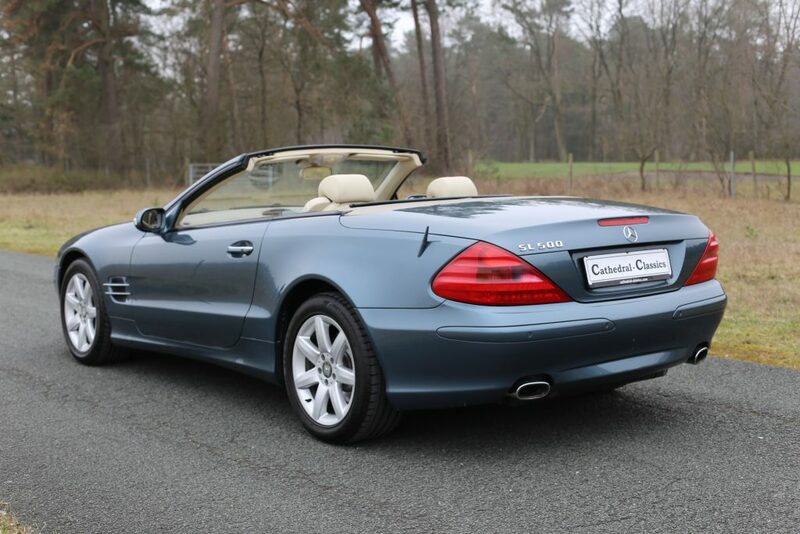 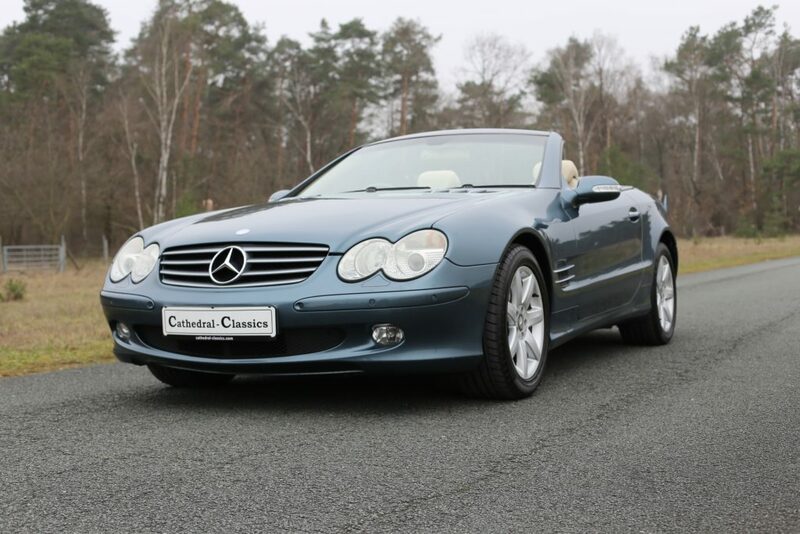 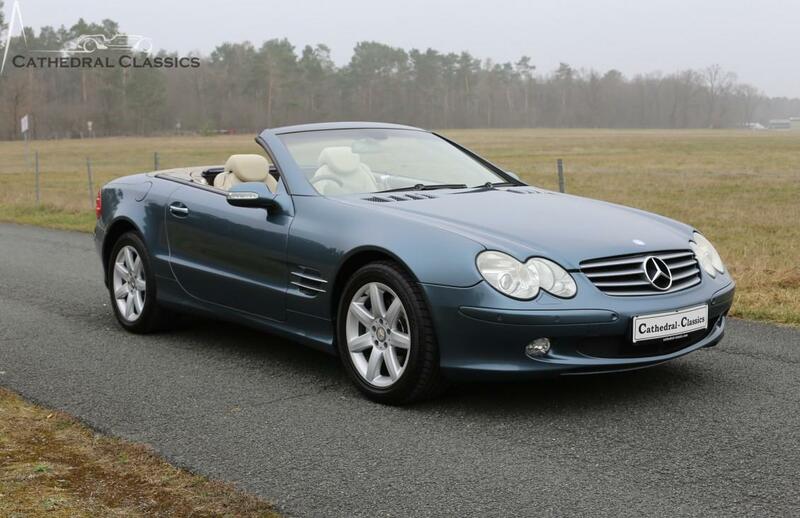 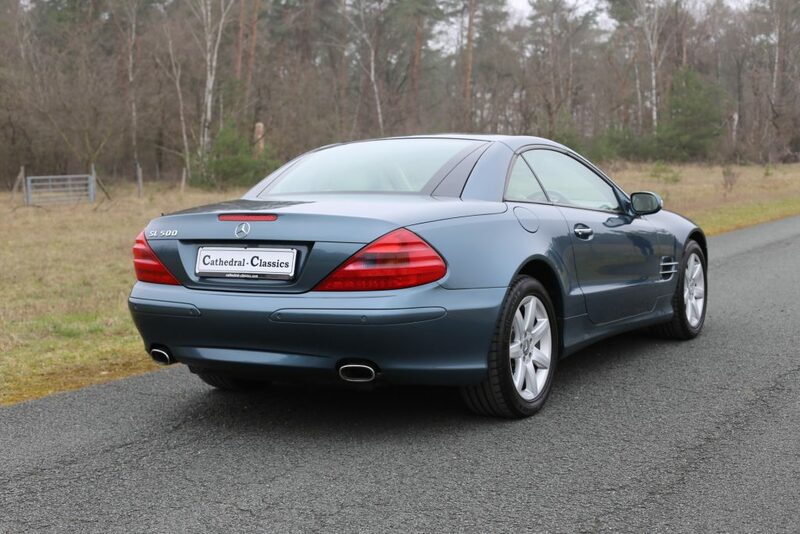 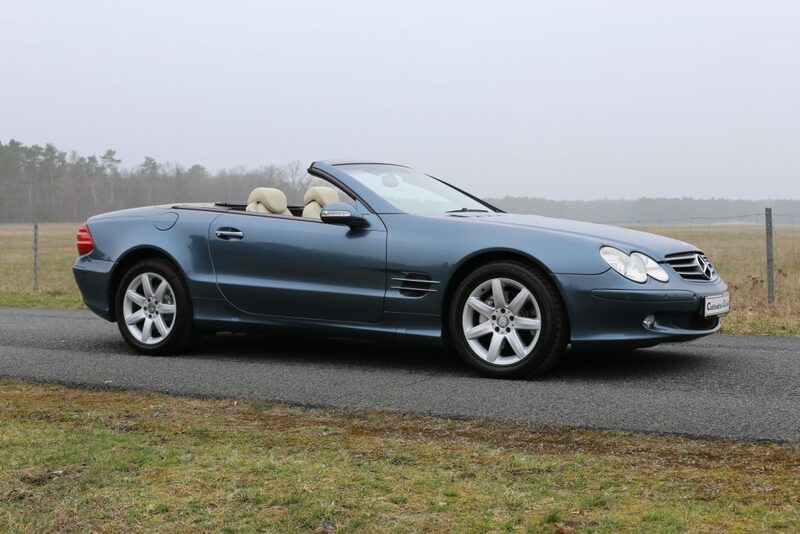 EXTERIOR - This phenomenal Mercedes-Benz SL 500, offering a change from the ubiquitous silver, is finished in the distinctive factory optional metallic Blue Topaz (Code 946). 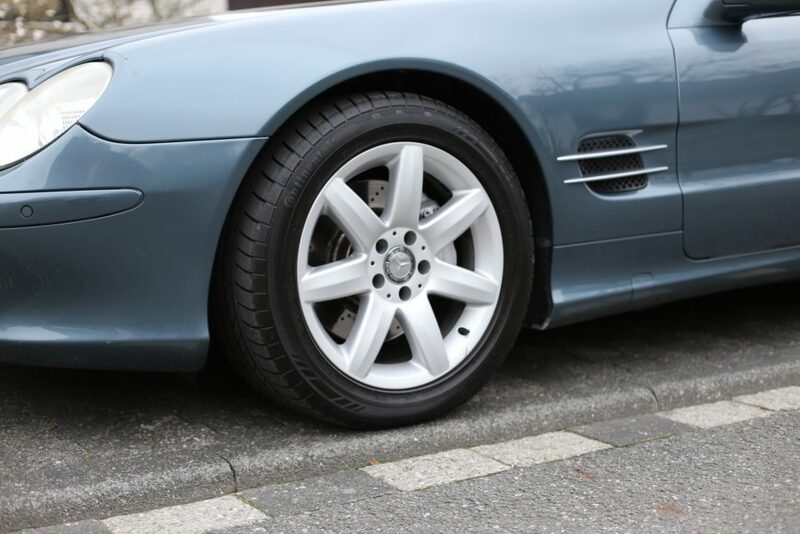 Having covered 106,236 miles from new, the factory paintwork still boasts a gorgeous deep shine and uniform finish with little to no blemishes to speak of. 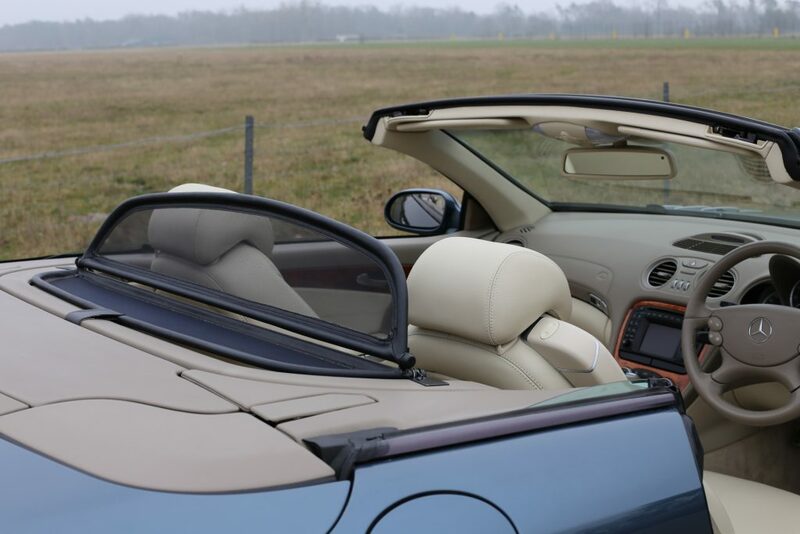 The electric fold away roof, self-leveling suspension and Active Body Control (ABC) all work as they should. 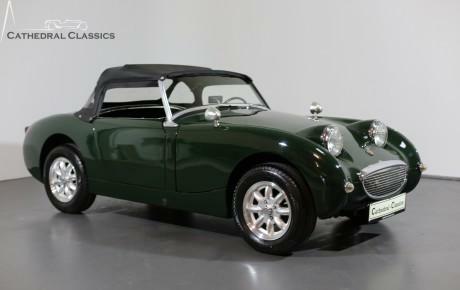 Driving this wonderful Steve Mattin designed car, it is immediately obvious just how much of a ‘head turner’ the R230 model is; young and old, it never fails to turn heads where ever it goes. 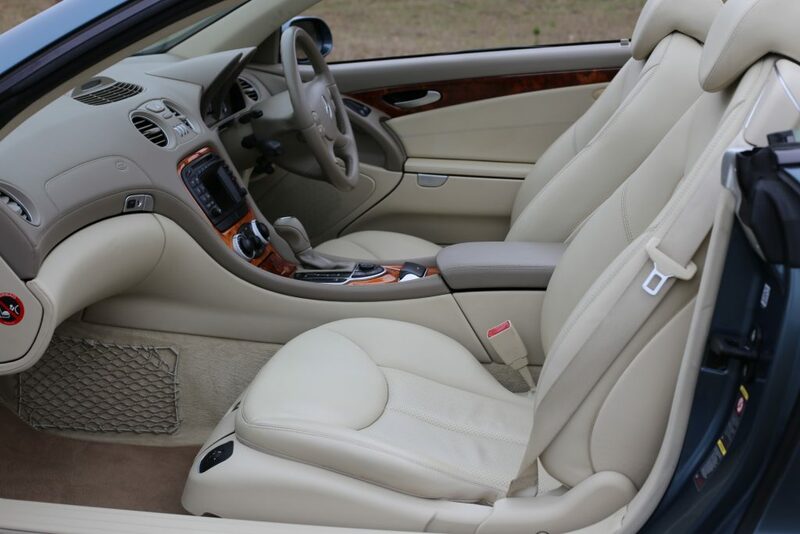 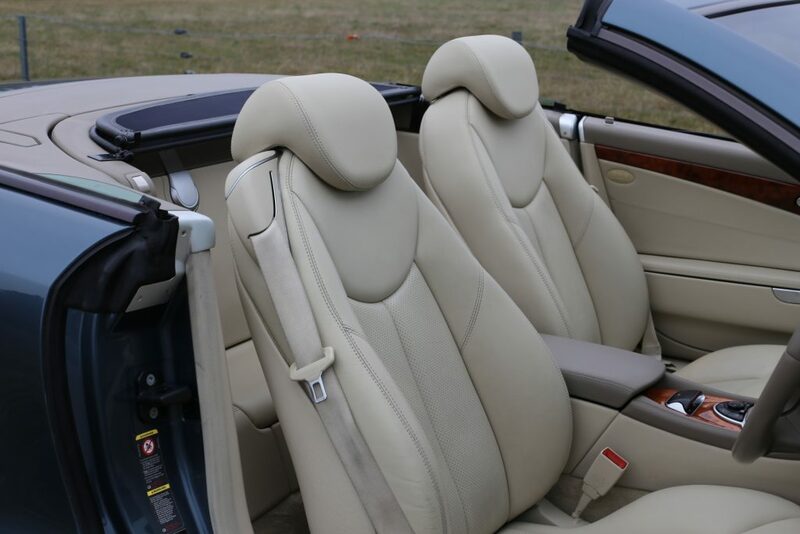 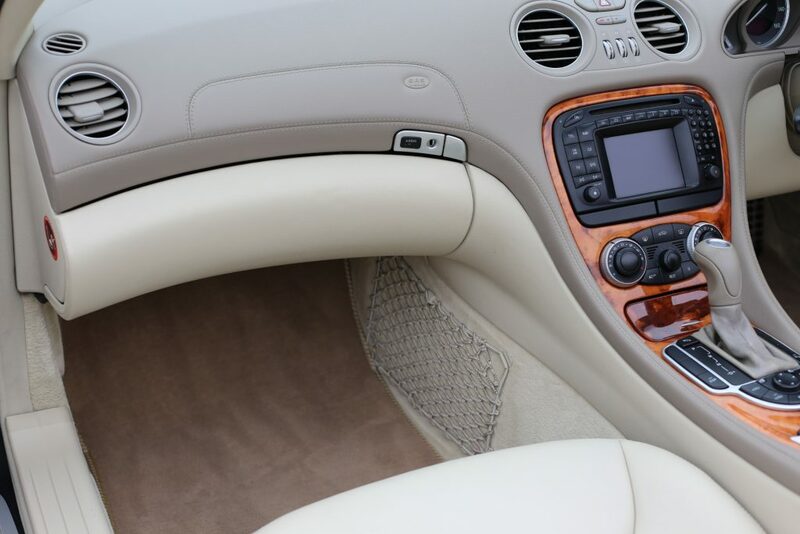 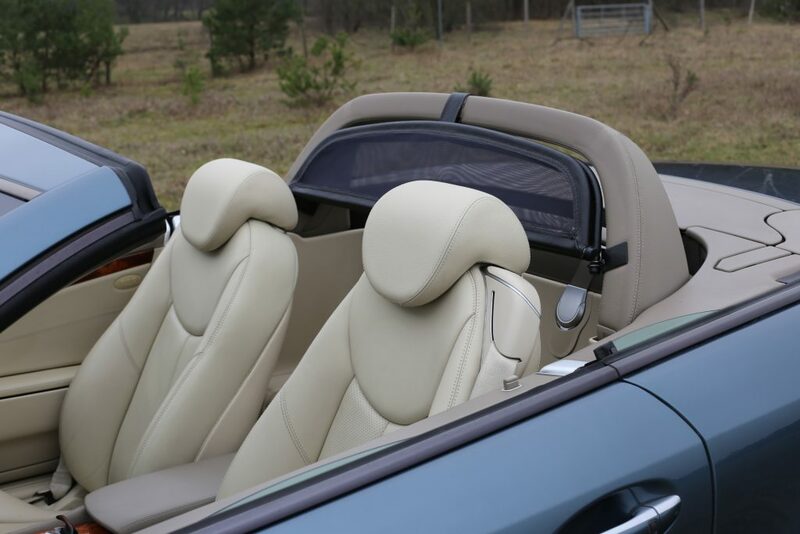 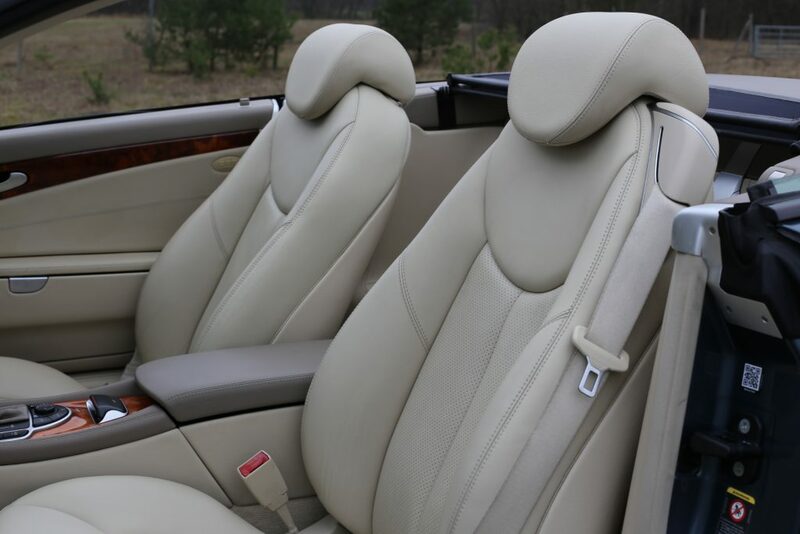 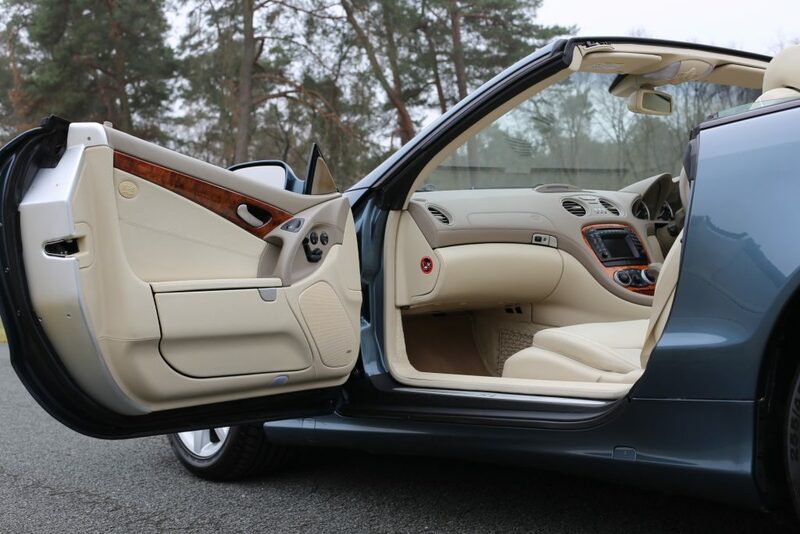 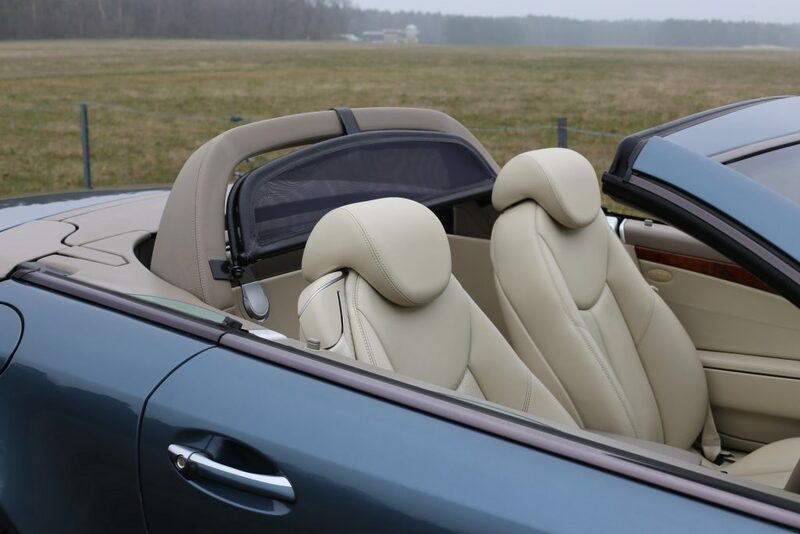 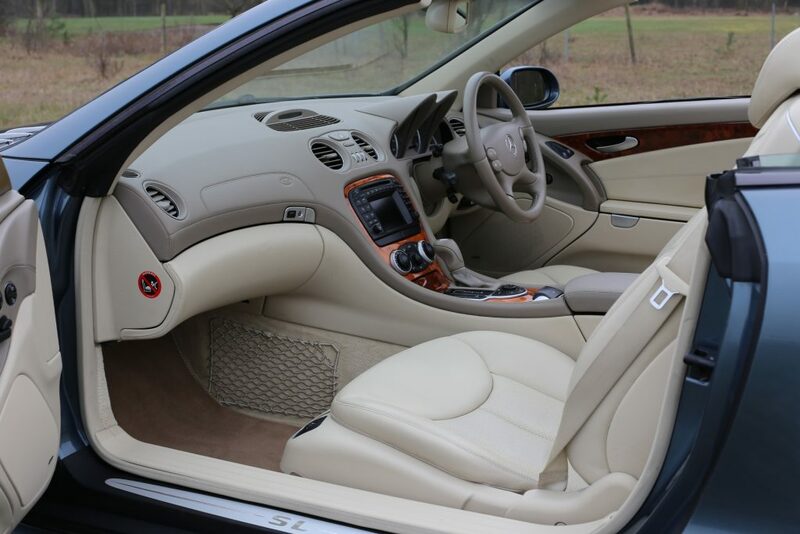 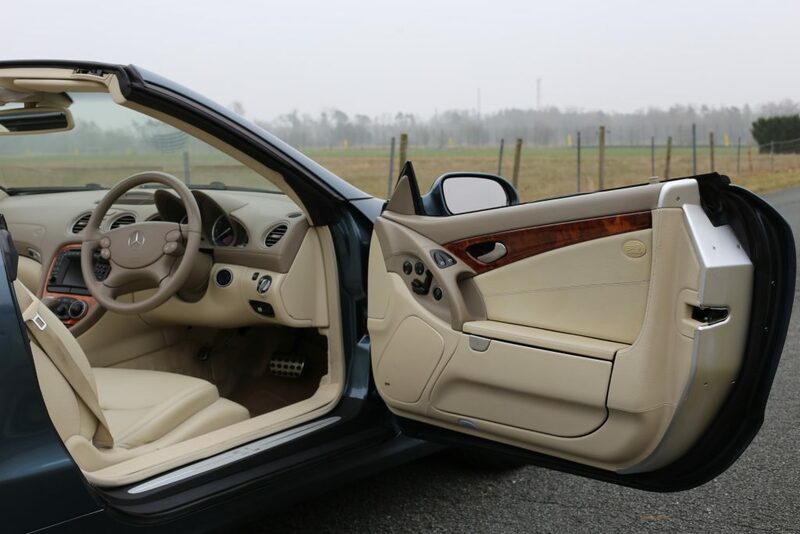 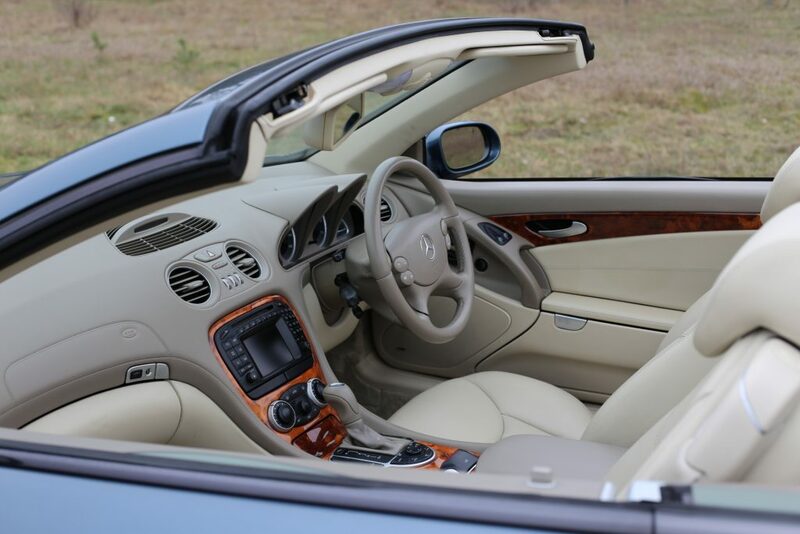 INTERIOR – The sumptuous beige leather interior is superbly equipped with a number of factory options and is truly a wonderful environment for long continental cruising. 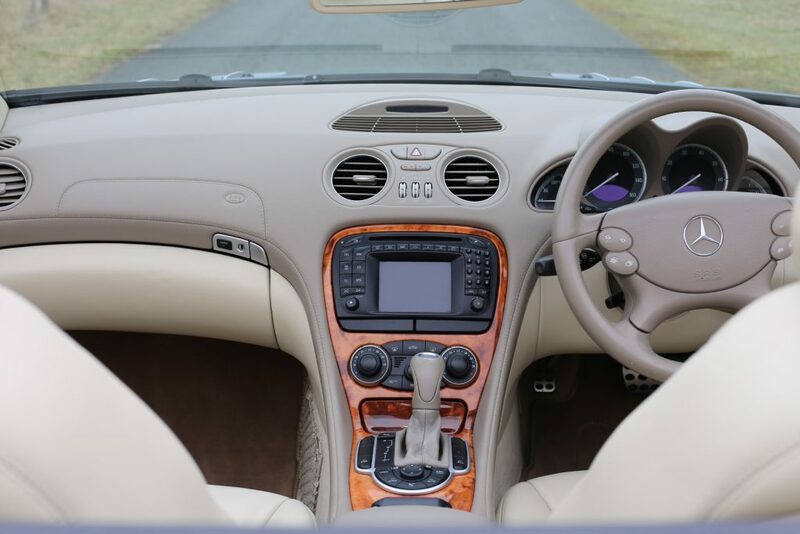 With electrically adjustable memory seats and UK Comand, our example also offers: (220) Parktronic front and back; (352) operation and monitoring system (OMS); (500) Electric adjustable folding mirrors; (682) fire extinguisher; (810) sound package bose; (819) CD changer; (882) towing off protection; (889) Keyless go. 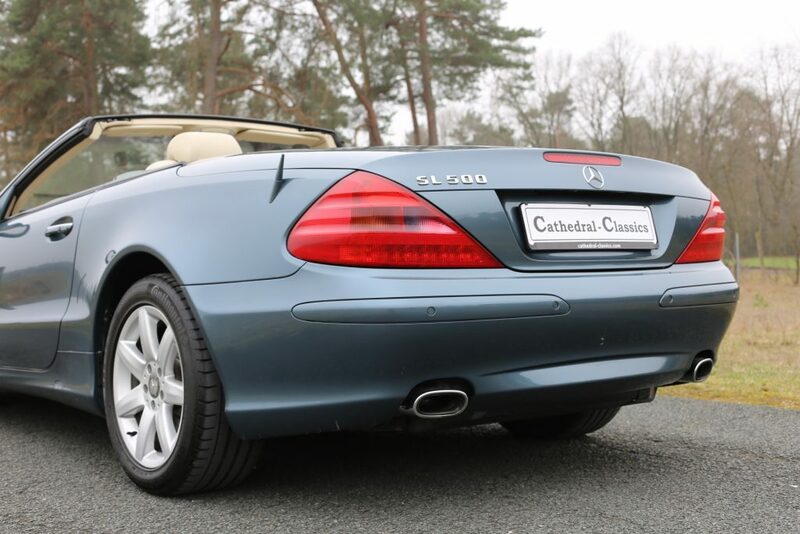 Contrasting beautifully with the relatively rare Blue Topaz exterior, this 2003 example is simply incredible value for money. 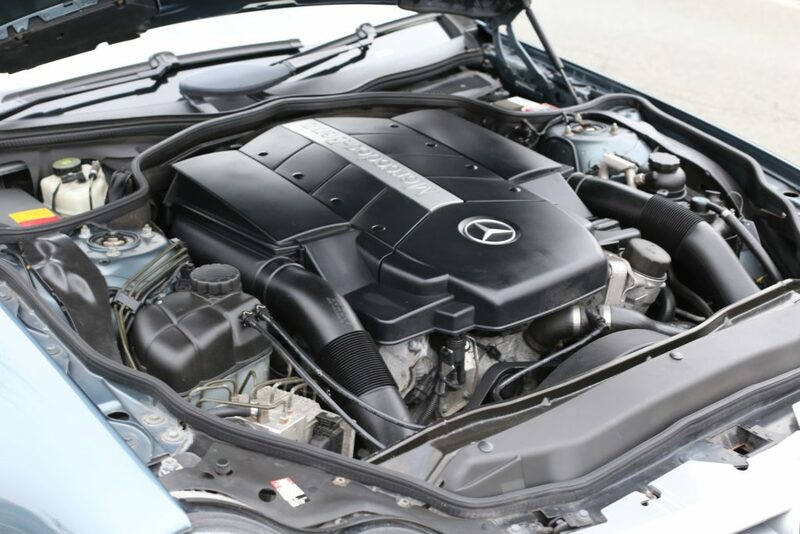 ENGINE & TRANSMISSION – Our first generation R230, built between 2002 – 2006, boasts the larger M113 power train 5.0 Litre 306 ps (225 kW) V8 with 4,966 cc. 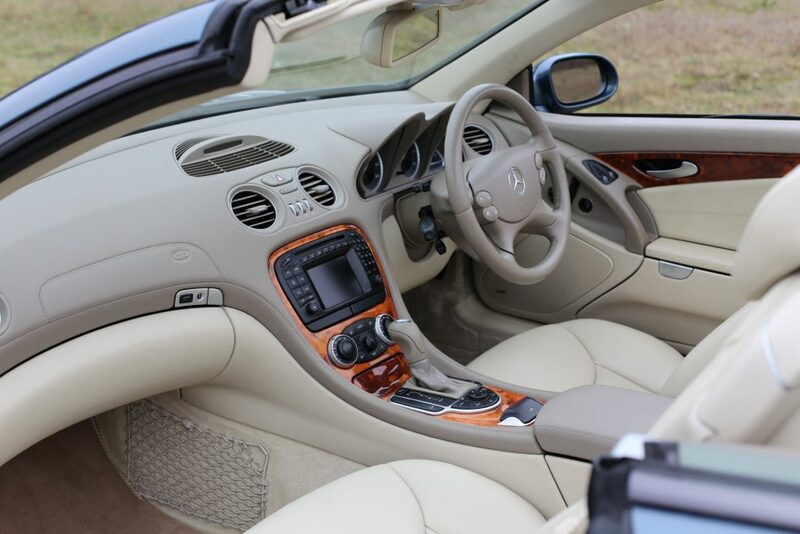 This Grand Tourer offers immense straight line cruising power with the assistance of, arguably, the best combination 5-speed sequential gearbox. 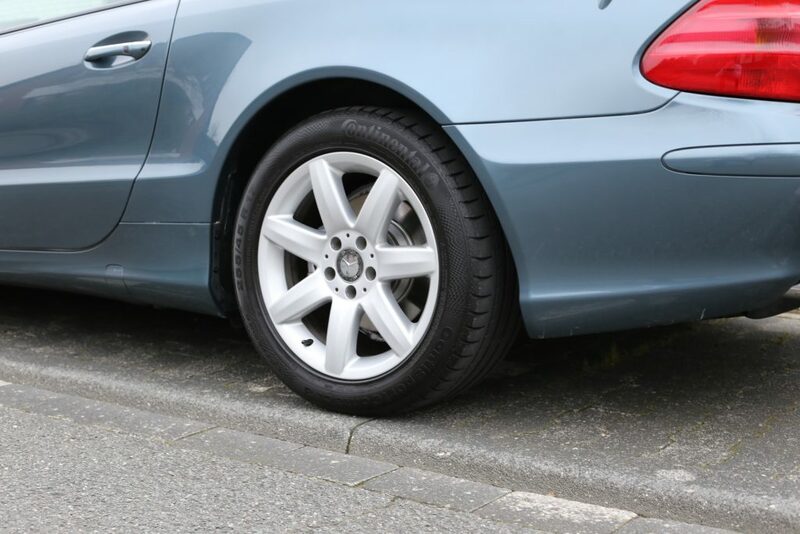 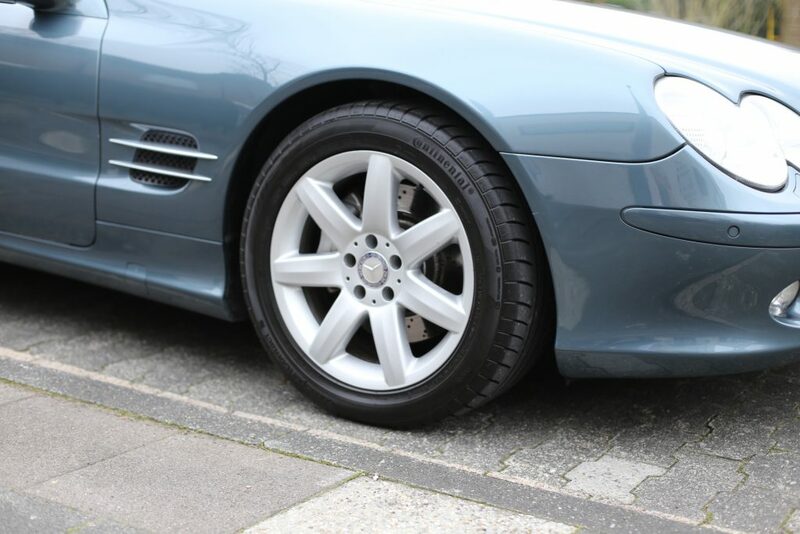 WHEELS, TYRES & BRAKES – The unmarked 7-spoke original Mercedes alloy wheels are shod with quality Continental 255/45 R17 ContiSportContact tyres, all with ample tread remaining combined with superb vented disk breaking capability.